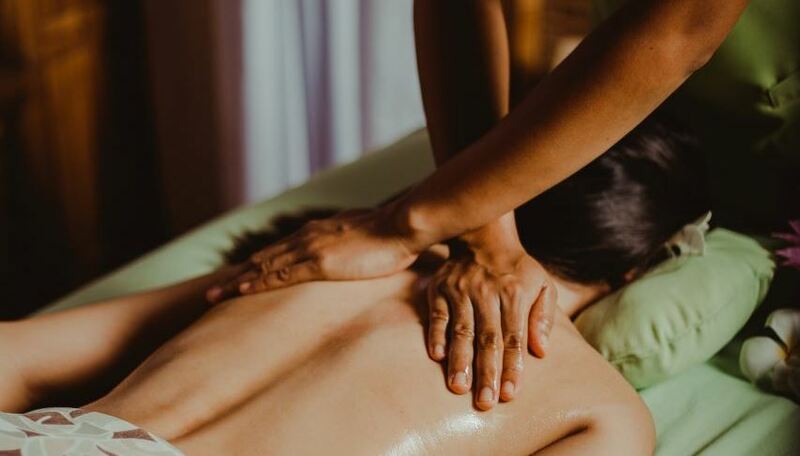 Swedish massage employs five (5) different movements, such as long gliding strokes, kneading of the individual muscles, friction, hacking or tapping vibration. The therapist generally uses massage oil to facilitate making long smooth strokes over the body. Swedish massage is done with the person covered by a sheet, a technique called “draping”. One part of the body uncovered massage, and then uncovered up before moving on to another part of the body.